Web Glue Trap Series, is the latest , most effective and innovative system for eliminating flying insects. The insects are attracted to the UVA tube and are embedded on the special glue board inside the unit. 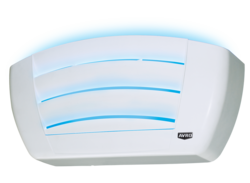 Unlike conventional devices these indoor electronic fly killers reduce the risk of contamination from flying insects and the fragmentation or blow out of dead insects. There is no catchment tray, no mess, no more fly problem. Product Description:Designed for commercial,factory and warehouse situations,this unit has shatterproof lamps as standard.Superior Glueboard performance and easy installation, suitable for wall mounting or free standing. Large capacity Glueboards with long-life adhesive. 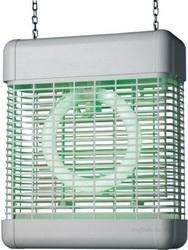 High performance Synergetic™ UVA- Green lamps for enhanced insect attraction. Note :All Debit/Credit Cards accept here for your handsome purchasing. 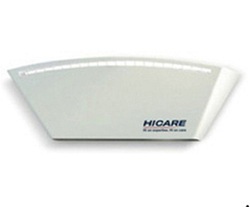 Compared to the traditional UVA lamps, the Hicare Fly Killer Machine catches blow flies, fruit flies and the common house flies 30% faster. It is more effective than UVA light in attracting various insects, including the tobacco beetle. The Green spectral peak has been proven to better attract all varieties of stored product moths such as tropical, warehouse, Mediterranean and Indian meal moth. Tests conducted by the Medical Entomology Centre at Cambridge in 1994 suggest that almost all flies have a propensity of being pulled towards a UVA and Green Light combination. The normal life of select series is over 15 years - Provided they are maintained correctly. Good looks and optimum performance for the professional kitchen or retailer. 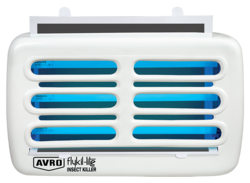 Avro Web Glue Trap Series, is the latest , most effective and innovative system for eliminating flying insects. The insects are attracted to the UVA tube and are embedded on the special glue board inside the unit. Unlike conventional devices these indoor electronic fly killers reduce the risk of contamination from flying insects and the fragmentation or blow out of dead insects. There is no catchment tray, no mess, no more fly problem.